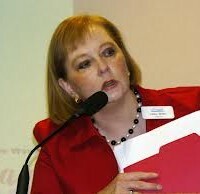 Today Konni Burton issued sharp criticism to Senate District 10 candidate Libby Willis. Libby Willis took to facebook late last night quoting President Obama berating Republicans for having no ideas addressing the income gap in America. Konni provided two policy solutions that would move Texas forward and empower the middle class. “Perhaps Ms. Willis is unaware of all the employers who were forced to cut their employees’ hours to 29 hours per week due to the burdensome regulations of Obamacare. When government mandates are leading directly to fewer opportunities for lower and middle class families in Texas, those policies must be abolished. Secondly, we must end crony capitalism in the Texas budget. Slush funds that have the propensity to be used to dole out contracts to the well connected must be closed. These are two policies, one at the national level and one at the state level which would empower Texas families,” Burton concluded.